Silverfish tend to eat paper items, glue, clothing, and food items like flour and rolled oats. Silverfish can live up to a year without food, but require a high humidity environment to survive. They are speedy little critters and are typically nocturnal. This is why you need the best silverfish exterminators. 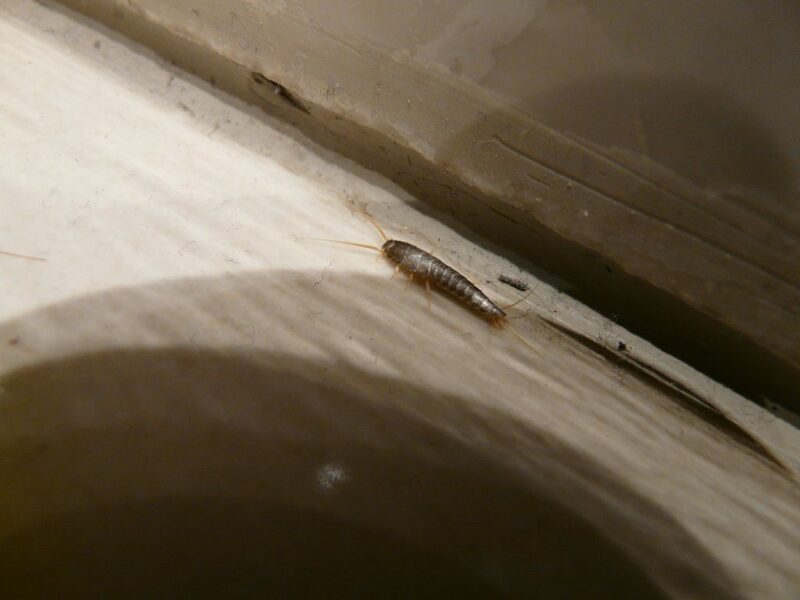 Silverfish are found throughout the U.S., typically crawling around in moist, humid areas of the home such as bathrooms, basements, and attics. While silverfish are mainly a nuisance pest, they can contaminate food with bacteria picked up on their many legs and can damage paper goods and clothing usually made of cotton, linen or silk. Gunter Pest & Lawn provides affordable silverfish pest control in the local Kansas City and St. Joseph, Missouri areas. We also provide our silverfish extermination services in the Lawrence, Kansas area. Looking for a local pest control company for silverfish, call us today. Other services provided by us include termites, mosquitoes and ants.